The Bassbone V2™ is a two channel bass preamp with a number of customizable features to suit any type of setup or playing style, while providing superb audio quality ideal for a live stage or studio recording. 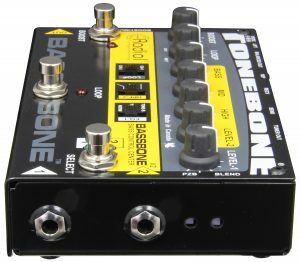 The Bassbone V2 combines high quality audio performance with the ability to take control of your tone and configure each feature to match your ideal setup. 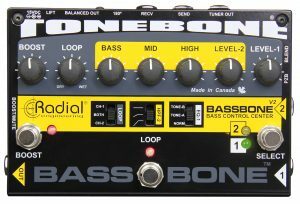 Seamlessly switch between upright and electric basses, while tailoring the signal from the upright with a three band EQ, high-pass filter, and a high impedance input for a more natural tone. You can engage your effects pedals with a single footswitch, and assign them to either input individually, or share them across both. 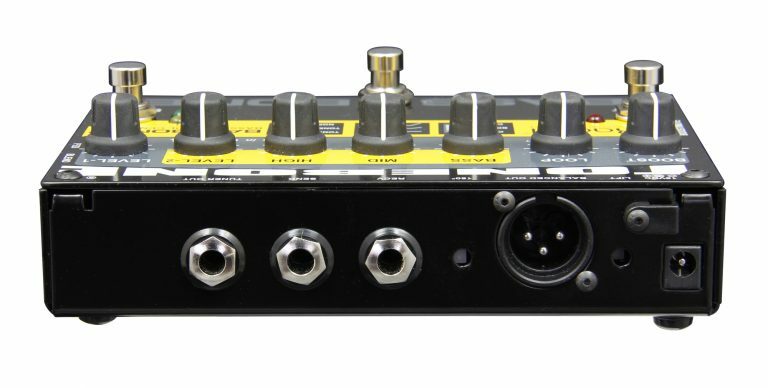 A wet/dry control for the effects loop provides the ability to blend the original bass signal in with the output from the pedals, preserving the tone and clarity of your instrument. 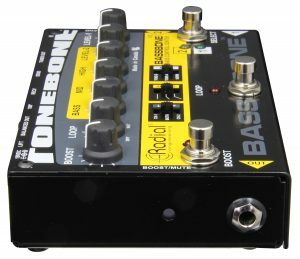 The Bassbone V2 also features a powerful clean boost that can be activated with a footswitch, or reconfigured as a mute switch for silent tuning on stage. 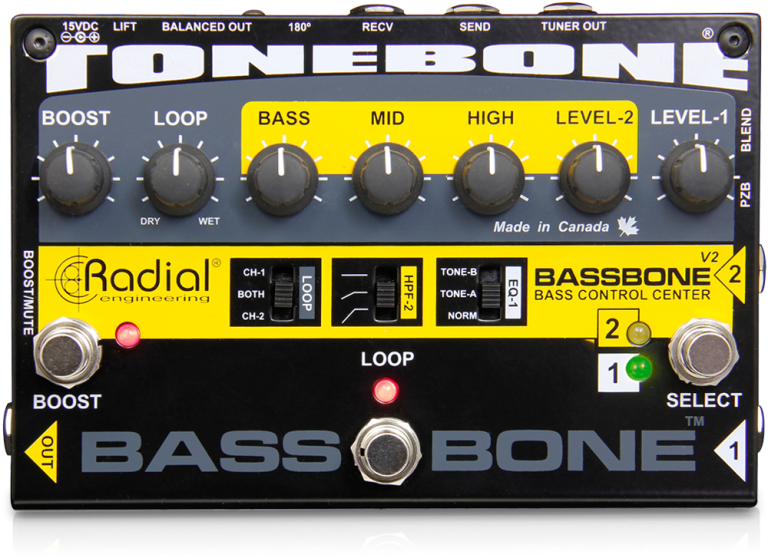 The Bassbone V2 is designed to let you switch between any two basses. 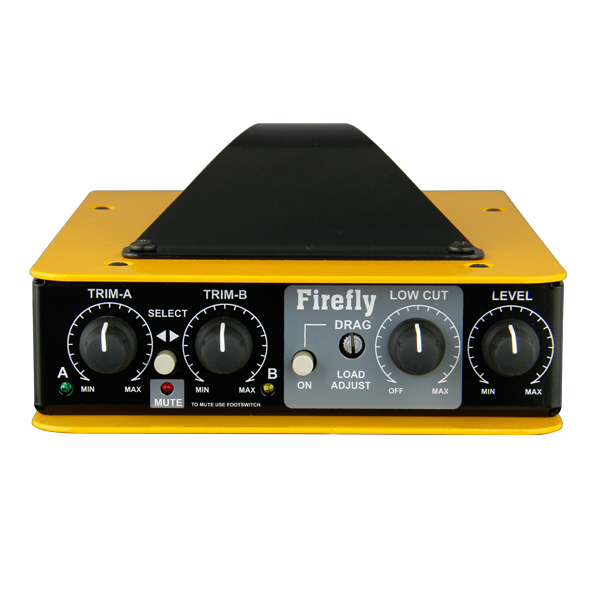 Use channel-1 and your amp's EQ to set you primary tone. 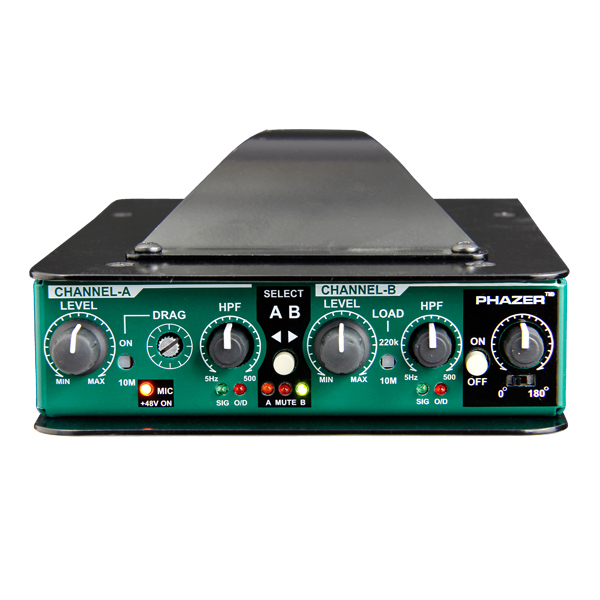 Use channel-2's ultra powerful EQ to compensate so that each instrument sounds its best. 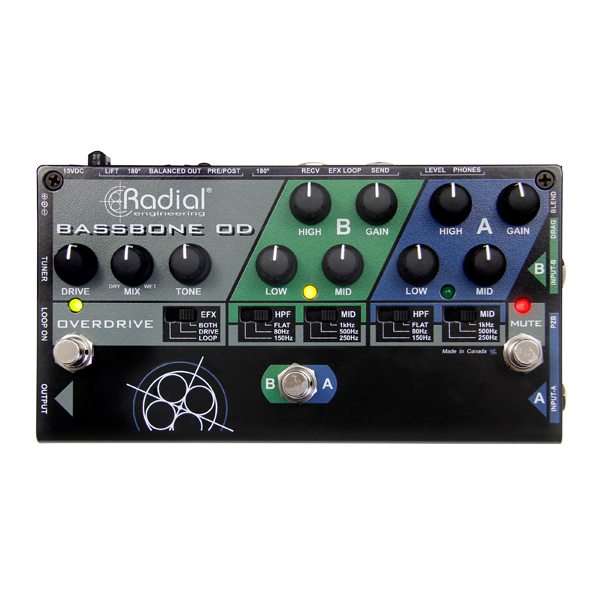 The Bassbone V2's high performance preamp is well suited for all instruments including upright bass. 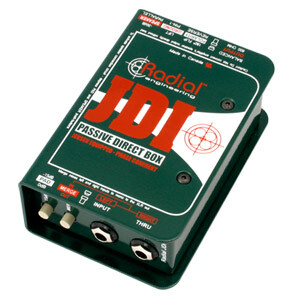 This lets you toggle between electric and acoustic and optimize the tone going to your stage amp and the PA system. 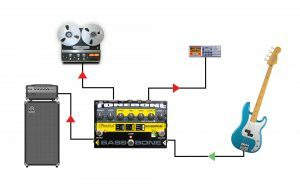 Add effects pedals using the built-in effects loop. The Bassbone V2 is the ultimate front end for any bass. Channel-1 can be set flat or augmented with two modern presets. 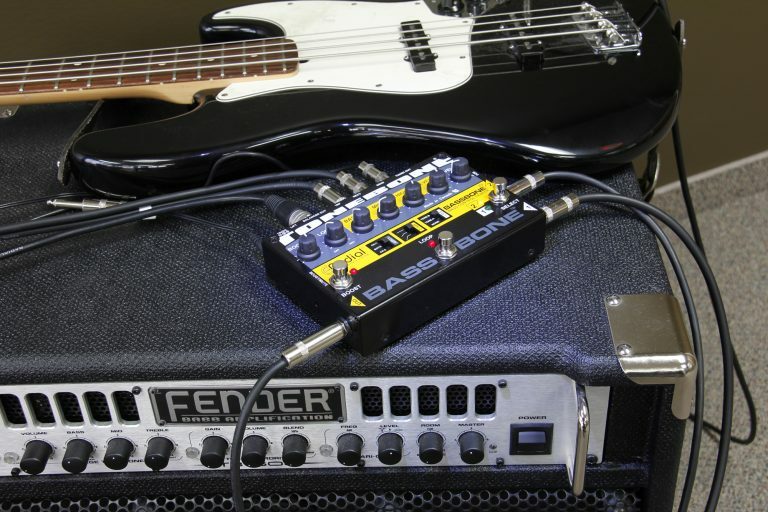 Channel-2's 3 band EQ is so powerful that it can turn your P-bass into a Rickenbacker! 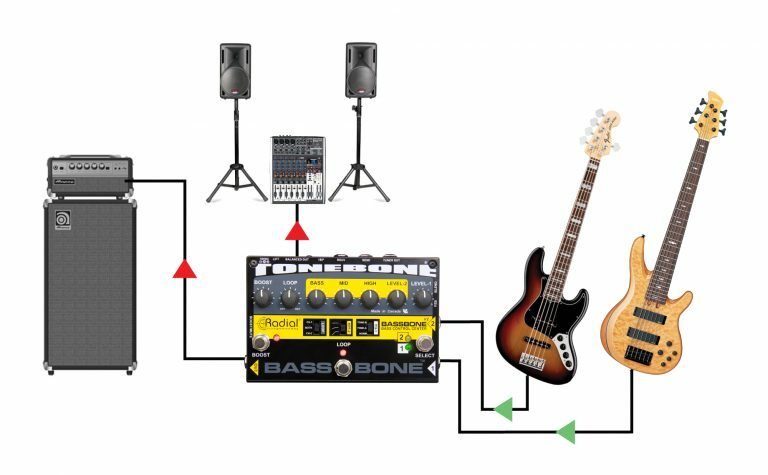 "Whether you're a seasoned professional or still trying to nail that solo from "Sir Duke", the Bassbone has something for you. It's been on my pedalboard for two months, and as a doubling bassist, I don't see it ever leaving." "The Bassbone’s magic lies in its extensive tone-sculpting and general utility. The Bassbone is laden with nearly every feature you could possibly desire—and then some." 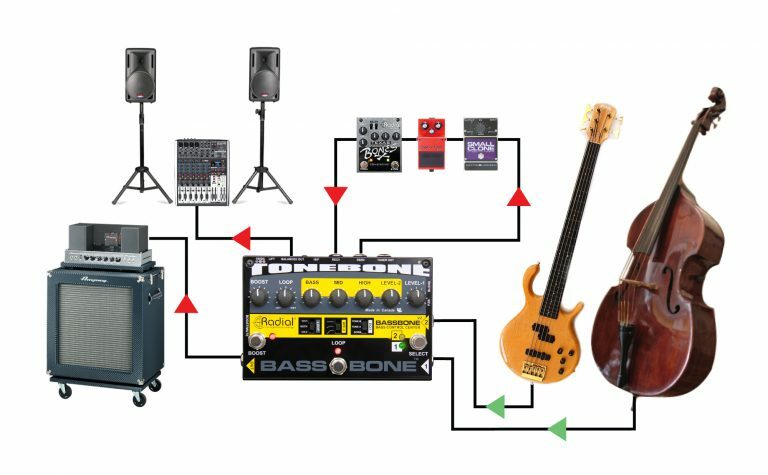 "A mighty command centre for semi-pro and pro bassists." 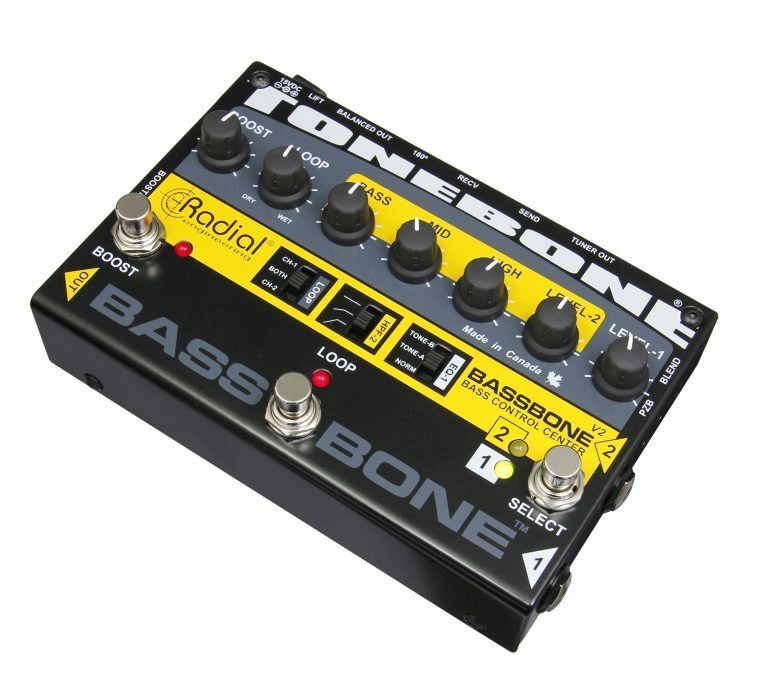 "The Bassbone is great and I use it constantly. It lets me EQ the highs for the right slap and rounds out the low end to give me a deep rich tone. 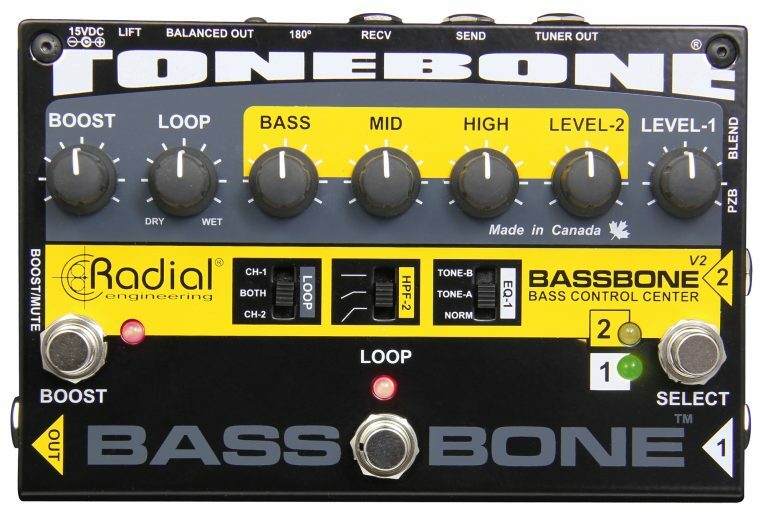 With my Bassbone I get the sound I want sent to the PA the way I like it." "The Bassbone is just what I have been looking for... I can maintain the integrity of two instruments on stage or in the studio with control over the balance and keep my high standards for my low notes!" 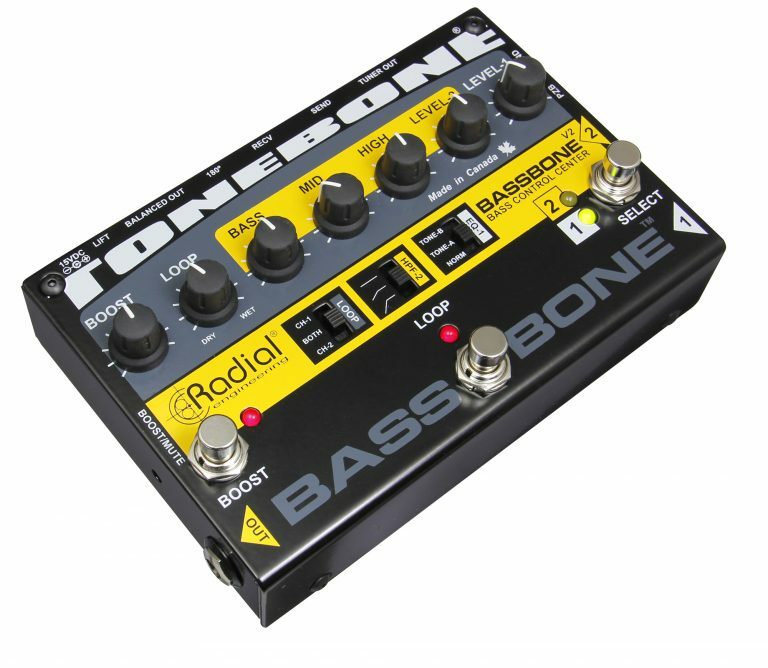 "Just to say that the Bassbone is fantastic. 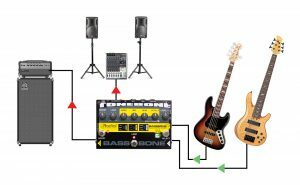 I really can't remember the last time I plugged in a foot-pedal and immediately thought, 'Well, this one's staying in the set-up...'"